What are the Different Grass Seed Types? Bermuda grass is popular in the southern U.S. The different grass seed types are usually broken down into categories depending on where they will grow best. Warm-area grass seed types include varieties such as Bermuda and bahiagrass seeds. Cool-season grass seeds include the Kentucky bluegrass among other types. Each variety of grass seed often has several subtypes. Warm-season grass seeds include bahiagrass, which produces a coarse, low-maintenance lawn ideal for high-traffic areas. Bermuda grass seeds tend to produce a soft grass and are relatively cheap to grow. They are commonly planted on golf courses. Popular in the southern US, this seed is considered a perennial and grows well in coastal areas. It is also a favorite in pastures and parks. Carpetgrass seeds are ideal for areas that get a lot of water exposure, producing a medium to thick lawn texture. Considered a creeping grass, these seeds typically grow best in sandy, wet soil. 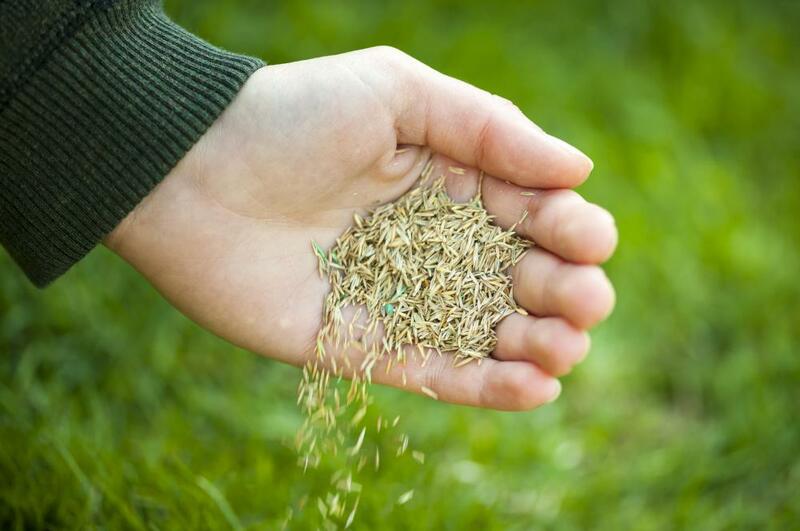 St. Augustine grass seeds produce very wide, heavy blades of grass. It grows well in South America, southern North America and in other tropical areas. Centipede and Zoysiagrass are also warm-season grass seed types and are most often used for lawns and range in texture from medium to coarse. Cool-season seeds include those that grow during the spring and fall, lying dormant in the summer and winter. Kentucky bluegrass is possibly one of the most popular of these grass seed types, producing a bluish green, soft and low-maintenance lawn. These seeds are often best planted with a mix of other seeds if planted in a high-traffic area. Ryegrass seeds grow extremely quickly and spread rapidly. The annual version of these seeds is typically added into mixes to provide quick ground cover while other, more slow-growing seeds develop. The perennial version can be used exclusively for a lawn or pasture, producing a soft green, healthy grass in very cool climates. 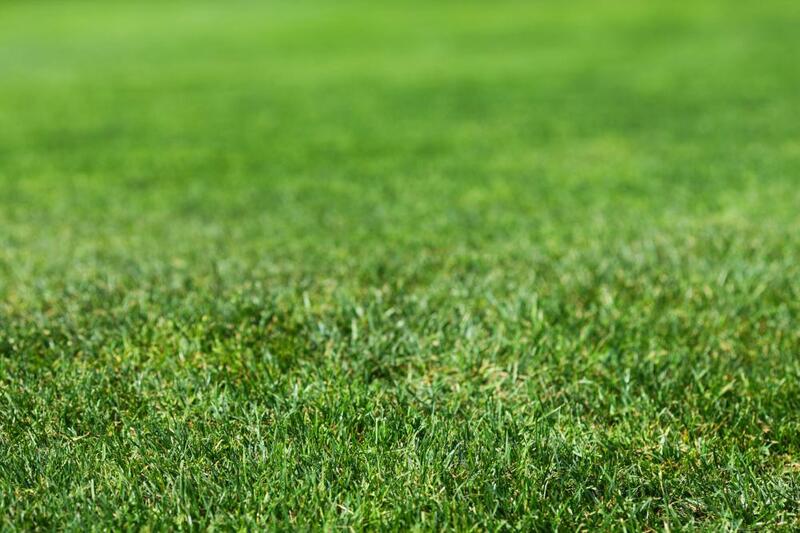 Fescue and bentgrass grass seed types are popular for use in sports areas. Often high-maintenance, these grass seed types grow well in cooler climates. Some varieties can be mixed with warm-climate seeds and planted in temperate areas that experience both hot summers and cold winters. Each of these grass seeds, both warm- and cool-climate kinds, has different varieties of its own, often due to cross pollination when seeds are mixed. Depending on the climate, not all grass seed types are available in all areas. Typically, planting a mix of seeds produces a lower-maintenance, year-round lawn. Planting one type of grass seed often produces the most appealing lawn, although the grass can be difficult to take care of and may not provide adequate ground cover year-round. How Do I Choose the Best Seeder? What are the Different Types of Warm Season Grasses? What are the Best Ways to Grow from Seed? What is Bermuda Grass Seed? What are the Best Tips for Growing Grass Seed?